The Nova Scotia government announced changes to solid waste regulations on Wednesday that will allow materials such as plastic, cardboard and newsprint to be used to create energy, but one environmental group is not happy with the move. 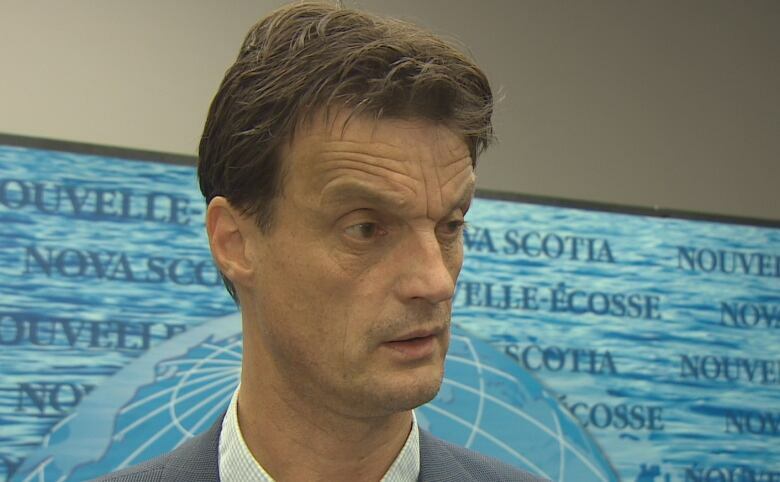 Andrew Murphy, the executive director at Nova Scotia's Environment Department, said the change isn't giving the green light to incineration. "Incineration is a more basic technology where you are burning materials and using the heat somehow," he said. "This is a more technological process where you're taking waste materials and you're creating a fuel, [it] could be a gaseous fuel or a liquid fuel, and then you would use that fuel back in the economy somehow." Recyclable materials will remain banned from landfills. Peter Vinall, the president and CEO of Sustane Technologies, applauded the move. His company is hoping to start converting waste material into fuel some time this year at its Chester-area plant. "We take regular municipal solid waste that would be going to a landfill, after our residents have done their best job at recycling materials at the curbside," he said. "We take what's left that goes in the landfill and basically sits there forever and we can recycle 90 per cent of that material away from the landfill into products." Vinall said those products include synthetic diesel and biomass fuel pellets. He called the process "completely safe." The company's environmental assessment found that the pyrolysis plant — the part of the project that would create fuel from plastic — could have a negative impact on the atmosphere and on birds. But the documents states air quality in the area would be "well within the limits" and the risk to birds from the plant's flare stack could be minimized by turning the flare down at night or when it's foggy during spring and fall migration. Sustane Technologies has the environmental approvals it needs, but is working on its application for an industrial approval. Vinall expects that application will be filed with the Environment Department within a month and he hopes to start operations within a month of getting approval. Environment Minister Margaret Millar said the regulation changes would allow Nova Scotians to divert even more material from landfills. She said Nova Scotians send an average of 404 kilograms of waste per person to landfills each year, which is less than the national average of 688 kilograms. "This is actually going to improve those numbers by what we estimate to be a very generous amount because you're taking what normally would all go to landfills and now it's going to be put in waste energy programs," said Miller. The Ecology Action Centre said the changes to solid waste regulations are not a solution to waste problems in Nova Scotia. Mark Butler, the policy director for the centre, said Sustane's plans are "one step removed from incineration." "They make materials from garbage that can be burned for energy like pellets or diesel, so ultimately it's linear," he said. Butler said Nova Scotia should focus on reducing its use of plastic, adding the technology could undermine reduction efforts and recycling efforts. "We need to deal with our waste here in Canada," he said. "And if we do it right we can create jobs. And the emphasis should be on on recycling materials not turning them in to energy." A previous headline said the province would allow waste to be burned to make fuel. In fact, the province said such materials are still banned from incinerators.